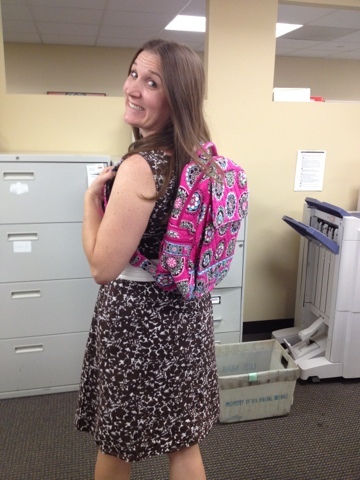 I bought a Cupcakes Pink Large Backpack this morning that I found on Craigslist! It is New without tags. The woman's daughter got it as a present and never used it. Such a great find! Now I just need to decide if I should keep it or sell it. that is a great find! i love cupcakes pink. how much did you buy it for?! Some time ago i got a backsak on ebay in medallion for less than 20.00 with S&H, haven't used it yet,but dont plan on parting with it. I didn't know cupcakes pink. In japan It is not sold. Let me know if you decide to sell. I've always regretted not getting one and pink cupcake was my very first print!